Muckle LLP is the North East’s number one law firm for business, having seen the firm and its corporate team achieve market commendations for its deal-making. Andrew Davison, Partner and Head of the Corporate Team, explains more. The 2015/2016 financial year was important for our firm and our Corporate Team as we achieved our milestone of exceeding £12m turnover. The Corporate Team had one of its greatest years, closing the financial year 18% above target – contributing a significant 22% of the firm’s total turnover. The Corporate Team also completed its highest ever aggregate value of transactions, valued at almost £1bn. These deals involved a combination of company acquisitions, sales, fundraisings and management buy-outs across all sizes of organisation, from SMEs to publicly quoted companies. The Corporate Team has also retained its position as the North East’s number one dealmaker for 2016 with information services provider, Experian, ranking Muckle as the top dealmaker during the first quarter. It places Muckle LLP in pole position once again, having consistently ranked the firm as the top dealmaker throughout 2014 and 2015. I am delighted to see that Experian’s latest report for Q1 2016 shows that the Corporate Team has again advised on more mergers and acquisitions of businesses valued above £500,000 in the region than any other law firm. 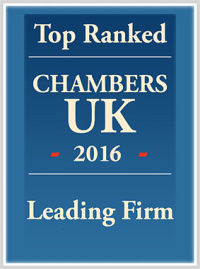 We are proud to have held this position for the last two consecutive years, being the biggest commercial law firm based solely in, and focused on, the North East. Many of our clients are small to medium-sized businesses, frequently family-owned. During the past year we have worked with many businesses, each with its own set of challenges, whether that involved helping a company acquire businesses in its supply chain, enabling step-change growth through fresh investment, or the ultimate realisation of value through sale. We have also been active advising a number of UK and US quoted companies during the year, both on their transactional and regulatory work. The start of 2016 saw us advising long-standing client, Kitwave Wholesale, as it continued on its acquisition growth strategy. Later in the year, Kitwave completed a refinancing deal which saw the business raise funds from lead investor Pricoa Capital Group and a co-investment partner Allstate. The transaction also provided an exit for NVM Private Equity, which invested in the business in 2011. Revenues are on track to reach over £260m in the current financial year. Kitwave, founded by CEO Paul Young, in 1988, has transformed itself from a regional confectionery-based business to a diversified, national wholesaler through 11 acquisitions since 2006. 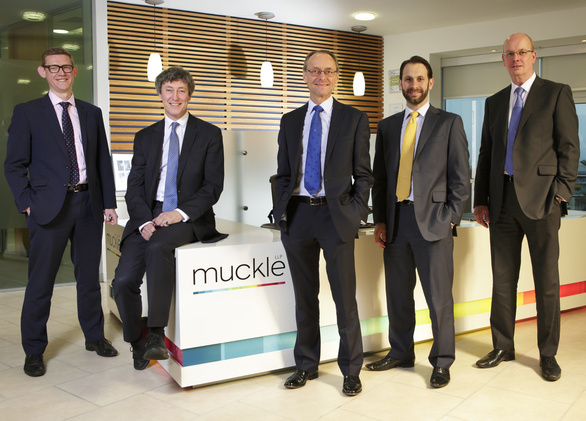 At the time, our senior partner Hugh Welch spoke of the firm’s delight that Muckle LLP played a leading part in helping the transaction to happen. Hugh has also been closely involved in advising Addison Motors and members of the Squires family on the expansion of their business for over ten years. This has culminated in advising the Squires family on the £87.5m sale of Addison Motors, which traded as Benfield Motor Group, to Lookers. Founded in Newcastle in 1957, Addison Motors is one of the UK’s largest private motor retailing companies and one of the largest private companies in the North East. Corporate partner Anthony Evans led on advising Trivselhus AB, a leading Swedish pre-fabricated wooden house manufacturer, on its corporate joint venture with the Esh Group. The joint venture is a critical piece of Trivselhus’ plan to enter the UK market and establish its brand as a quality wooden home builder. Drawing on Esh’s expertise in land acquisition and managing high quality developments, the JV company (trading as Trivselhus by Esh), plans to develop six substantial new residential sites across the North of England in the next three years. Partner Philip Clare also advised on the sale of our long-standing client, CAV Aerospace Limited, which was acquired by private equity firm, Better Capital. An initial £40m was committed to the deal by Better Capital to provide working capital and investment for CAV’s future growth. The Consett-based manufacturer is a specialist aerospace manufacturing business, which supplies complex metallic components and sub-assemblies to several major original equipment manufacturers including Airbus, Embraer and Gulfstream. The growth throughout the year has led to the Corporate Team recruiting partner Mike Spetch, whose 27 years’ experience includes helping businesses from the North East expand nationally and internationally through mergers and acquisitions. Mike also advises on private equity investments and realisations alongside providing strategic corporate finance advice for management teams. Meanwhile Adam Rayner and Matthew Walsh have been promoted to Associate Solicitors. Both Adam and Matthew’s promotions are well deserved. Clients regularly praise them both for their knowledge and responsiveness when supporting and leading aspects of the deals they have been intricately involved in. To top a hugely successful year, Muckle’s leading reputation was commended by being shortlisted by the Solicitors Journal for its Regional Team of the Year 2016 award. This award is open to UK-based or national firms. Solicitors Journal was very impressed with the sheer amount that we do for our local community, beyond our role as legal and business advisers, our dedication to it and also our annual growth figures. They said the North East should be pleased to have us and we have our fingers crossed for the finals on 25 May 2016. Furthermore, the firm was shortlisted for the fifth time for the Heart of the Community Award in the North East Business Awards 2016, having won this award three times before. We continue to focus on having the best team in the region, focused on delivering excellent client service and commercial business advice. We never take any aspects of our success for granted and thank all of our clients and business partners for working with us over the years. We look forward to further strengthening our relationships in the years ahead. If you or your business require corporate support, please contact Andrew Davison on 0191 211 7950 or email [email protected] or anyone of our team.